In today’s highly charged and rapidly changing financial climate, derivatives are dominating global headlines. It is essential for financial professionals to have a strong grasp of the products, practices, and regulatory agencies associated with the complex derivatives market in order to keep up. 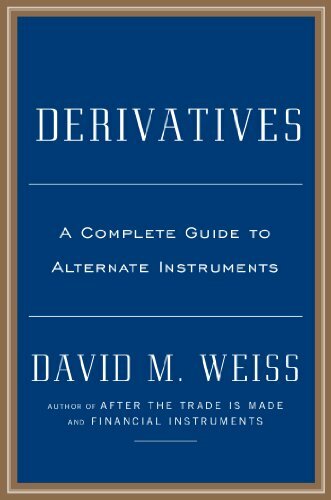 For each of these types of derivatives, Weiss introduces the players in the market, outlines the mechanics of trading, and explains the role of regulation and oversight in the process. Written for portfolio managers, brokers, financial planners, and institutional investors, this book is an indispensable tool for today’s investor and will leave readers better equipped to understand one of finance’s most complex arenas.